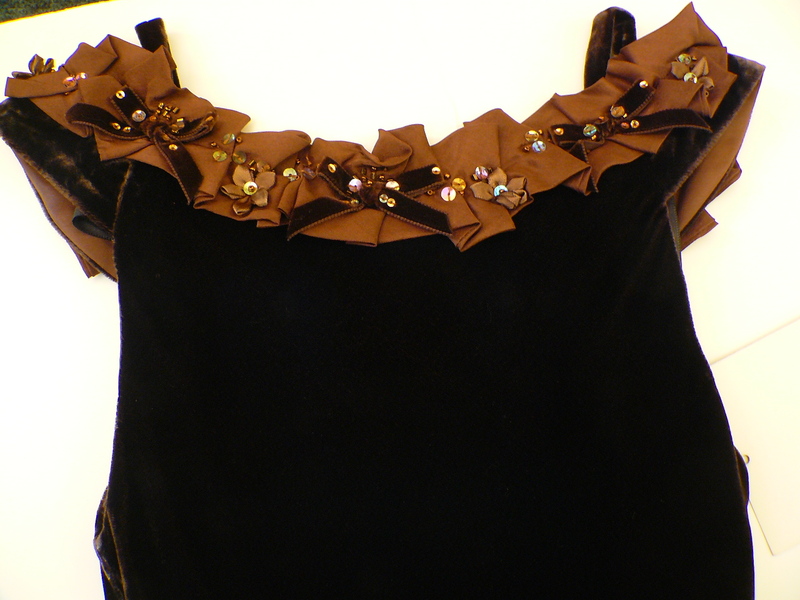 Biscotti Dresses- This beautiful, rich brown velvet dress is enhanced with sequins and back tie for the perfect fit! JOne of the loveliest Holiday dresses! 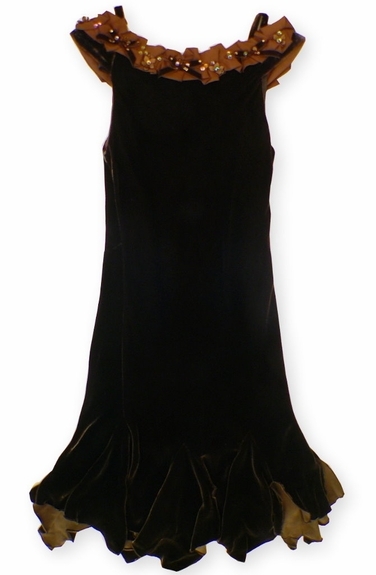 - Dress 82% payon 18% silk, Neckline & Lining 100% polyster, Exclusive of decoration.